CCAN Action Fund does not collect any information from you without your knowledge and permission. In order to use some of the tools and functions, however, such as the online action center, you must enter some identifying information. CCAN Action Fund does not disclose this information to anyone except 1) to identify you, as described in the following three paragraphs, to those you contact through our website and 2) to manage our website and database with the help of service providers, who are subject to a non-disclosure agreement. Information you provide CCAN Action Fund is stored in a secure location and is accessible only by designated staff. To send a message from our online action center to government officials and other decision-makers you must identify yourself by name, address and email address. CCAN Action Fund includes this information when we send your message. This is necessary for your message to be effective, and in the case of many government officials it is required. Additionally, when using “tell your friend” pages to forward an action alert, you must enter your name, your email address and the email address(es) of anyone you are sending it to. CCAN Action Fund includes your name and email address when we send your message. In addition to information you enter when sending messages to friends and decision-makers from CCAN Action Fund’s website, you may submit information directly to CCAN Action Fund for purposes including donating, subscribing to email updates or entering a contest. CCAN Action Fund will not disclose this information to any unaffiliated group except in accordance with any rules you agree to as a contestant and, as described above, to manage our website and database with the help of service providers, who are subject to a non-disclosure agreement. If you have opted to receive any of our publications by email you are able at any time to unsubscribe by following the directions that appear in the email itself or by contacting CCAN Action Fund at info@ccanactionfund.org. When you donate to CCAN Action Fund via our website, your credit card information is encrypted and transmitted via a secure connection. 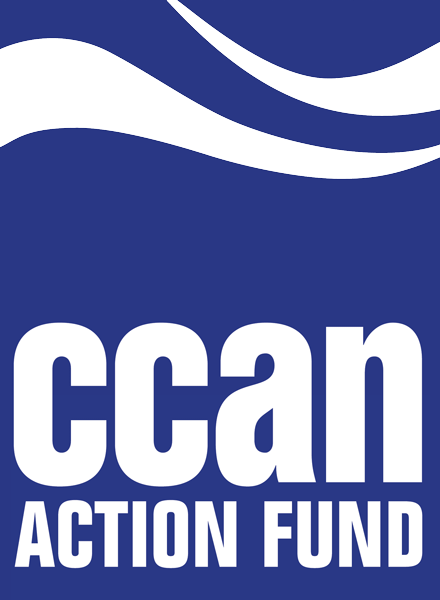 CCAN Action Fund uses your credit card information only for the purpose of processing your donation. We will not disclose this information except as necessary to process your donation and we do not store it once your donation has been processed.